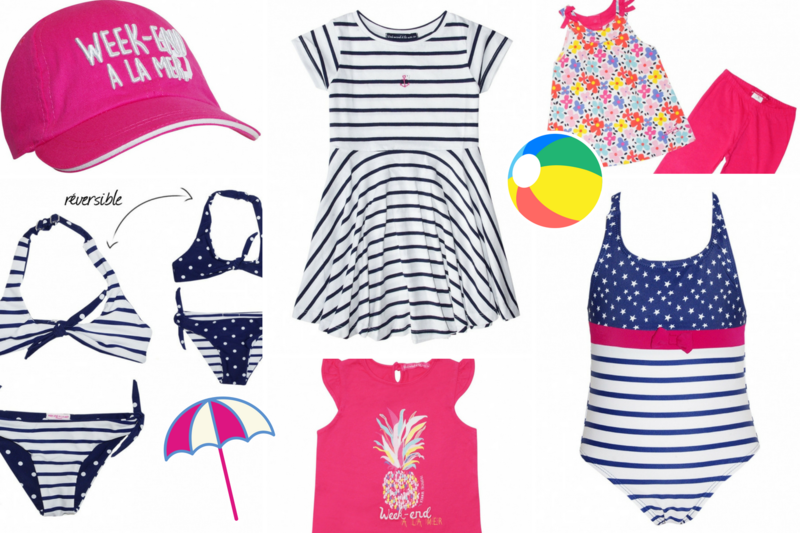 Home > Blog> Mode>Your holiday bag for your Week-end at the Sea! Are you going on vacation soon near the water? 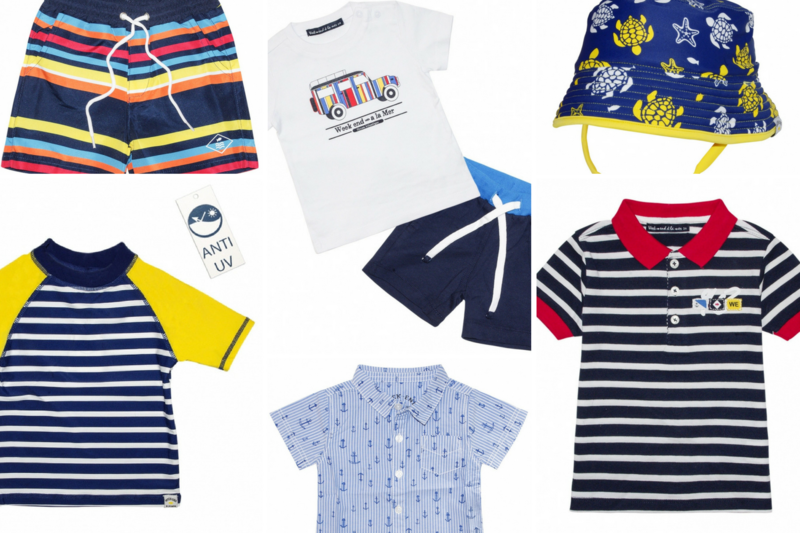 We have selected several essential items for a perfect weekend at the sea. Swimsuit two pieces reversible: Can be wear on both sides. Synthetic fabric, Pleasant to the touch. Ideal for fast drying, lightweight article. Pink fuchsia cap Week-End at the Sea: Writing Weekend at the Sea embroidered on the front ideal to protect the face of your daughter. Pineapple Pink T-shirt: Short sleeve, for girls. The pattern on the front brings a very girly look to the model and will make your little girl the most beautiful princess of the beach. Flowered outfit: Nice set, consisting of a fully floral dress and plain fuchsia leggings for girls. Swimsuit one piece: White striped Navy, it is raised of a pretty starred print. Swim shorts: These multico swim shorts are lined with mesh and have an elasticated waist with a drawstring at the waist. Brightly colored, it's perfect for your little king. Anti UV beach t-shirt: Lycra Anti Uv. Protects even wet. Excellent hold of form and colors. This top is a close-fitting t-shirt designed to protect your children from the sun and the harmful effects of UV even in the water, where the reverberation is the strongest. Model available in several colors. T-shirt / shorts set: This baby boy set is made up of a plain white T-shirt with short sleeves and navy shorts. Convenient for a simple and pretty outfit for your child. Navy Anchor Shirt: Blue and white pinstripe shirt for baby boys. It has marine anchor patterns throughout the model. Beach Bob Reversible: This bob is made in the material of swimsuits Fast drying. Synthetic fabric, very pleasant to the touch. This bob is reversible, it is as well on one side as the other. Ideal to protect your child from the sun. White Navy Polo: White striped navy polo shirt with short sleeves for boys. We note its red details at the collar and the ribbing of the sleeves that bring a colorful touch to the model. It is as good during the day as a summer evening.